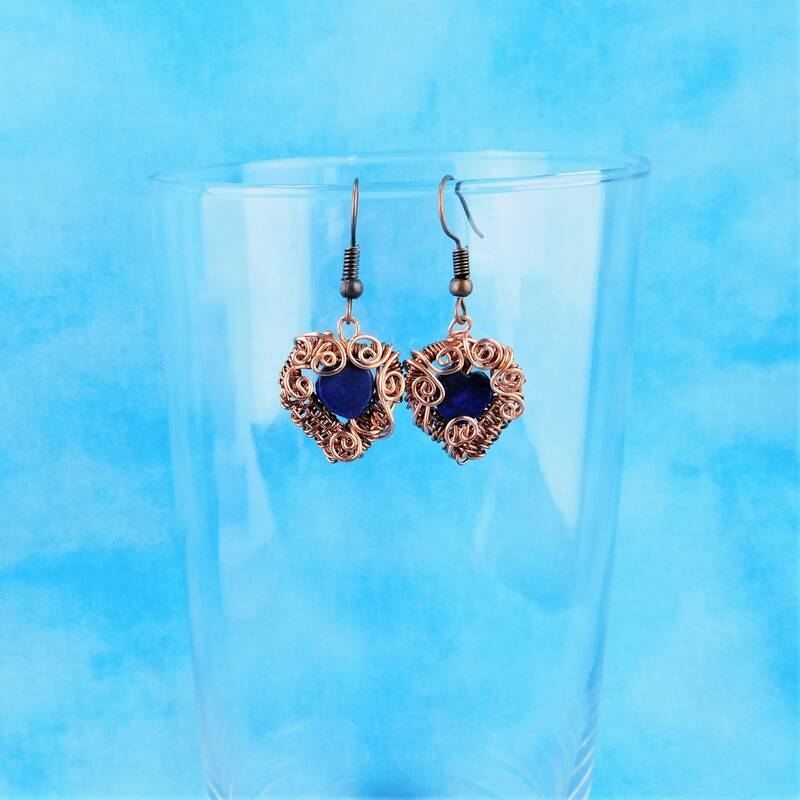 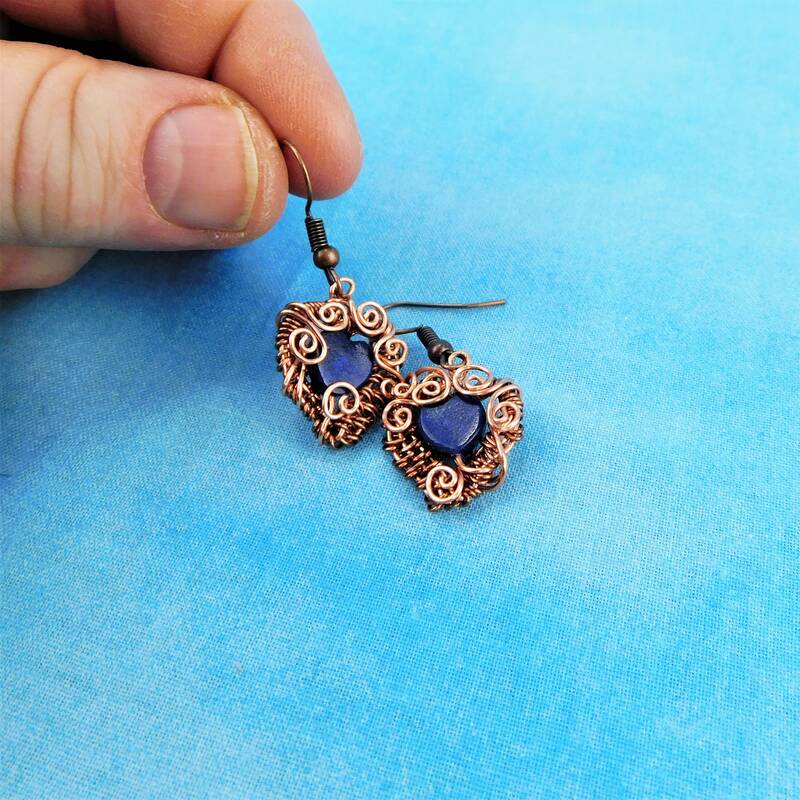 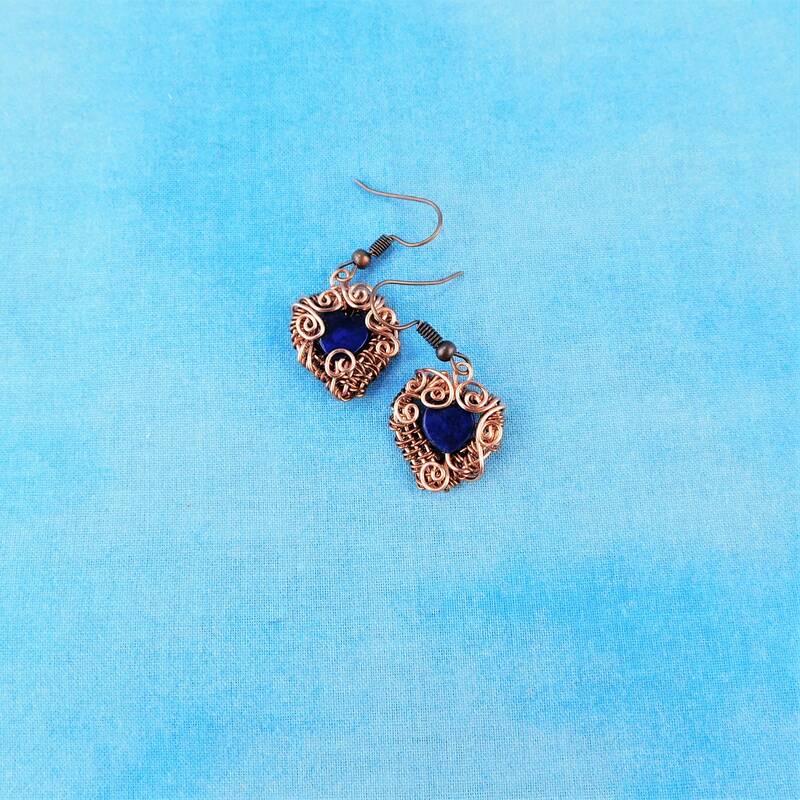 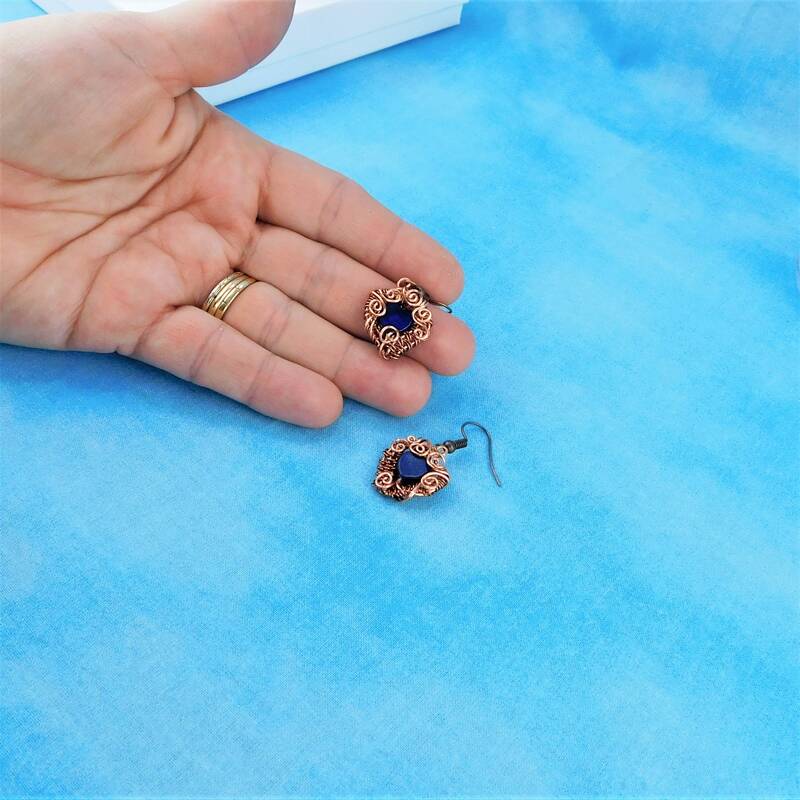 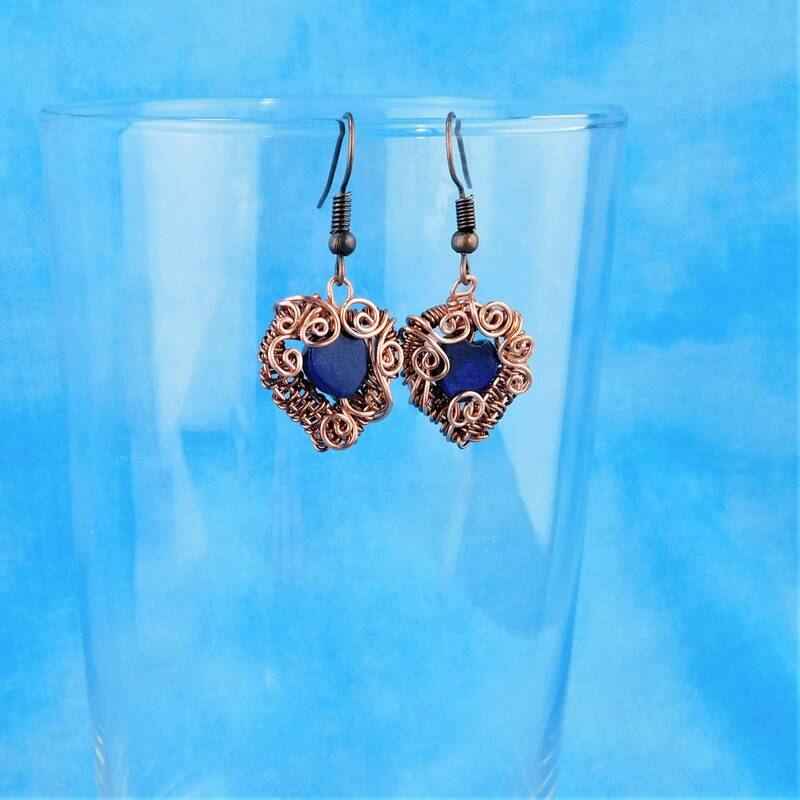 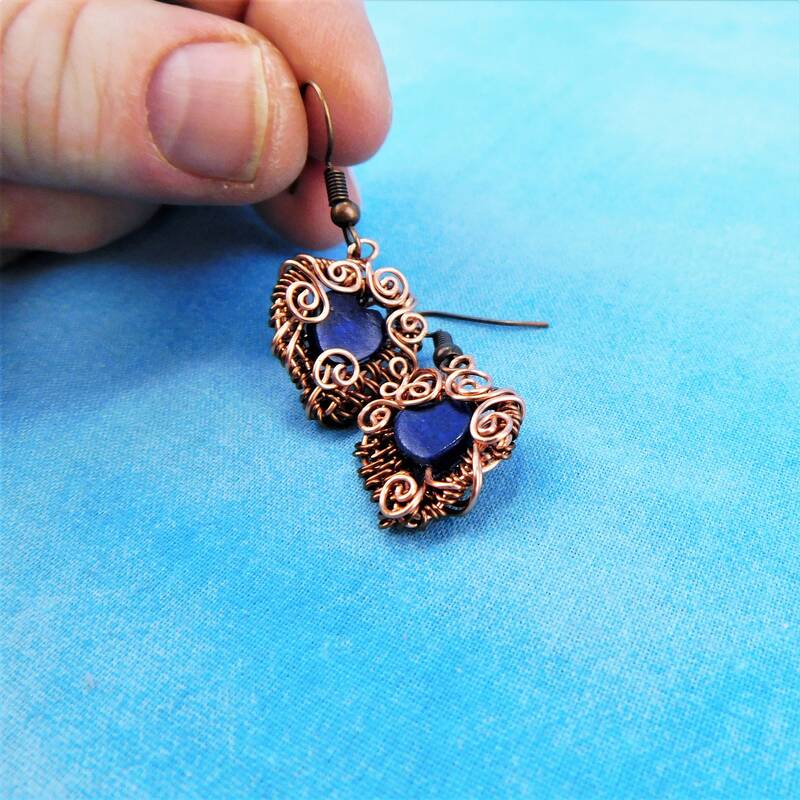 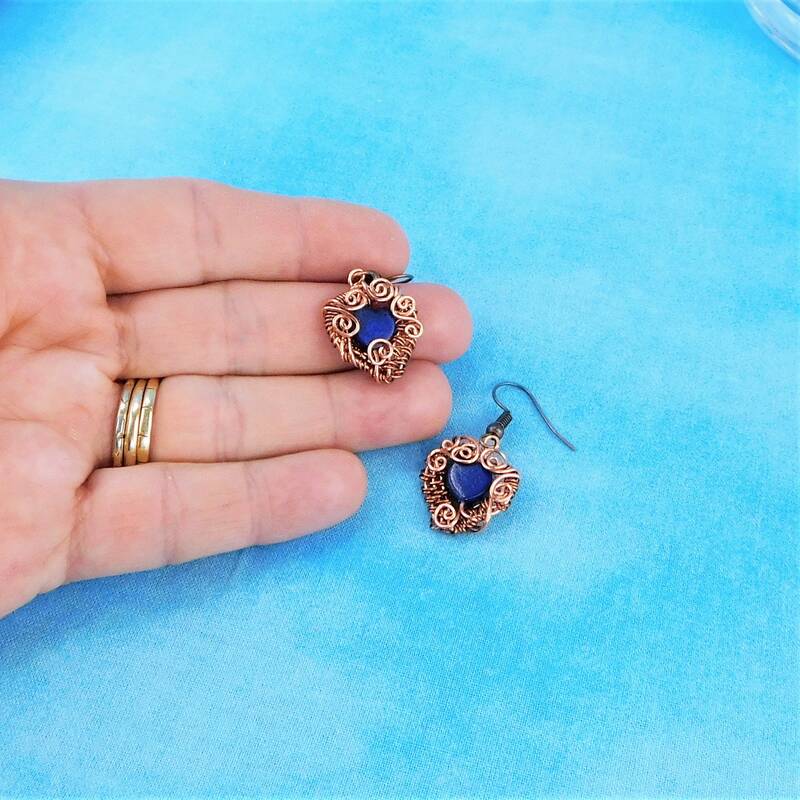 Small carved Lapis Lazuli 1/4 inch hearts are Framed in woven wire wrapped and framed in non tarnish copper wire. 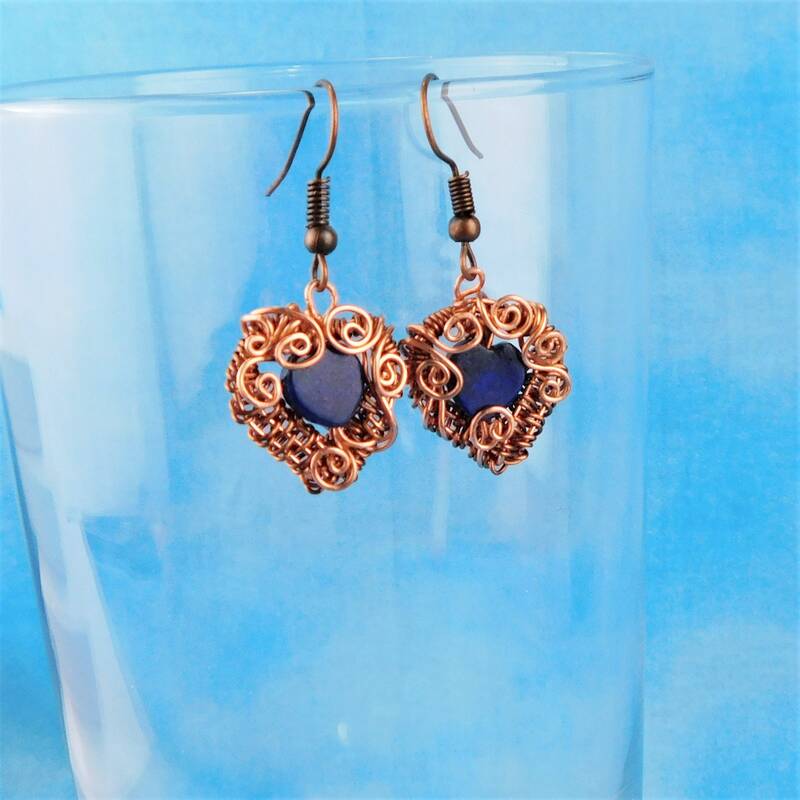 The hearts dangle from nickel free fish hook style ear wires. 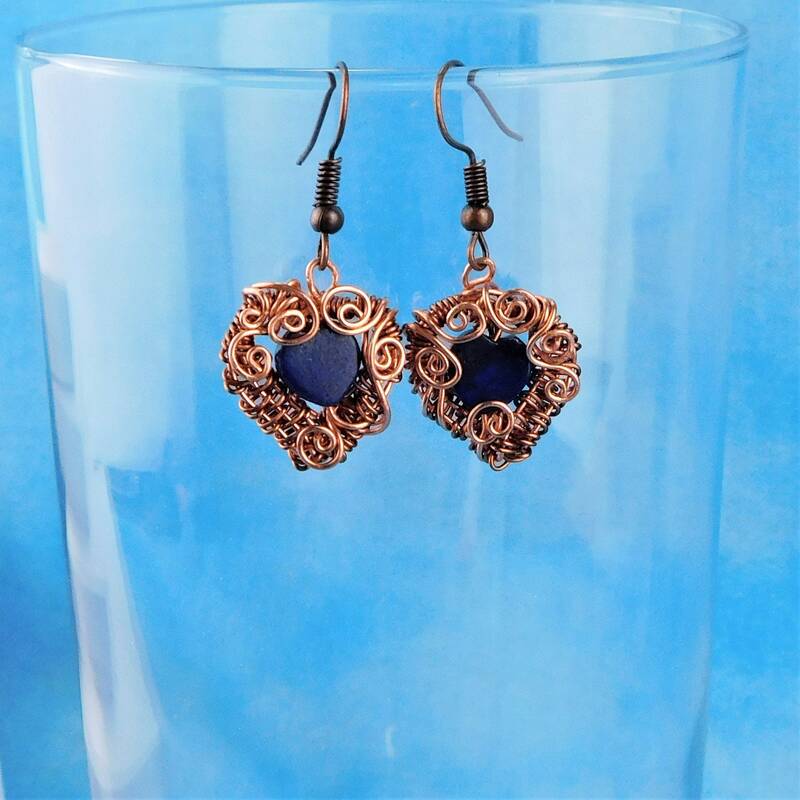 The artistic, rustic hearts would be the perfect accent for denim, leather, or a fresh white peasant blouse. 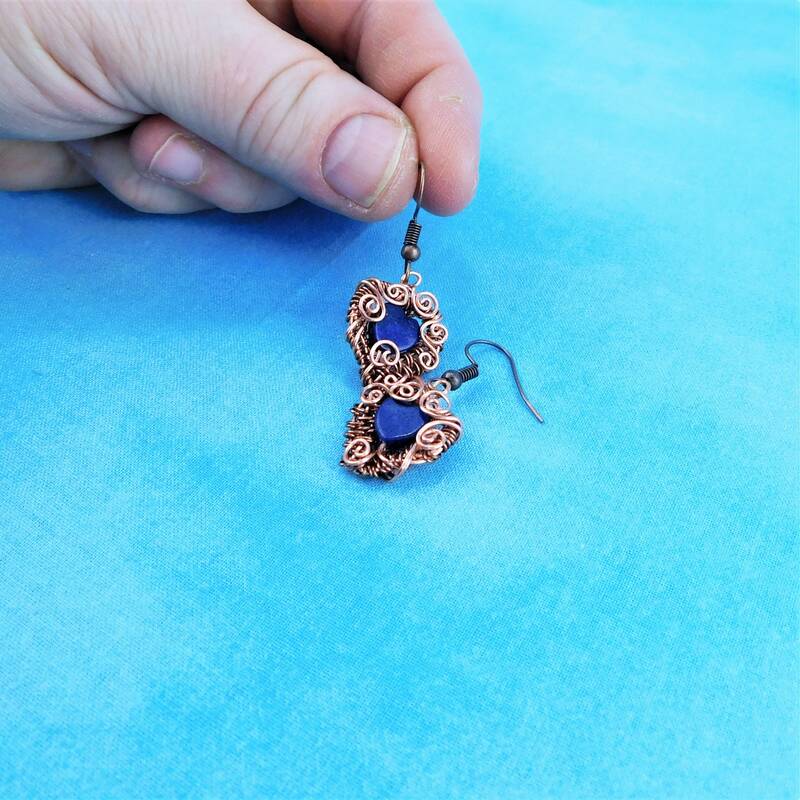 They are small, unique, and very fun to wear.